Will Ebooks Destroy the Democratizing Effects of Reading? Today Amazon announced that it is finally rolling out Kindle-compatible ebooks to public libraries in the U.S., a much-needed evolution of the dominant e-reading platform. But there's a larger problem that this development fails to address, and it's an issue exacerbated by every part of Amazon's business model. I challenge anyone reading this to recall his or her earliest experiences with books -- nearly all of which, I'm willing to bet, were second-hand, passed on by family members or purchased in that condition. Now consider that the eBook completely eliminates both the secondary book market and any control that libraries -- i.e. the public -- has over the copies of a text it has purchased. Except under limited circumstances, eBooks cannot be loaned or resold. They cannot be gifted, nor discovered on a trip through the shelves of a friend or the local library. They cannot be re-bound and, unlike all the rediscovered works that literally gave birth to the Renaissance, they will not last for centuries. Indeed, publishers are already limiting the number of times a library can loan out an eBook to 26. If the transition to eBooks is complete -- and with libraries being among the most significant buyers of books, it now seems inevitable -- the flexibility of book ownership will be gone forever. Knowledge, in as much as books represent it, will belong to someone else. Worse yet, there is the problem of the e-reader itself. This issue may be resolved by falling prices of e-readers, but there remains the possibility that the demands of profitability will drive makers of e-readers to simply set a floor on the price they're willing to charge for one and attempt to continually innovate toward tablet-like functionality in order to justify that price. Imagine Abraham Lincoln, born in a log cabin, raised in poverty, self-taught from a small cache of books, being stymied in his early education by the lack of an e-reader. And there are countless other examples -- in his biography, Bob Dylan recounts spending his first, penniless days in New York City lost in a friend's library of classics, reading and re-reading the greatest poets of history as he found his own voice. Sure, these are extreme examples, but it is undeniable that books have a democratizing effect on learning. They are inherently amenable to the frictionless dissemination of information. Durable and cheap to produce, to the point of disposability, their abundance, which we currently take for granted, has been a constant and invisible force for the creation of an informed citizenry. So the question becomes: Do we want books to become subject to the 'digital divide?' Is that really wise, given the trajectory of the 21st century? 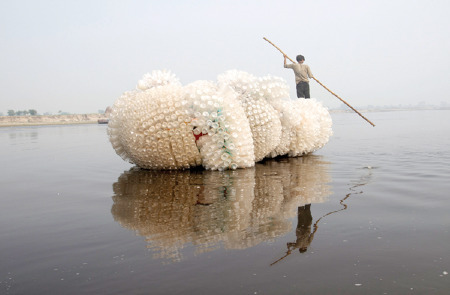 Anne Percoco's water bottle raft, "Indra's Cloud," appears in the show Convergence at Lumenhouse in Brooklyn, New York. The show's artists confront both the waste of our disposable culture, and the ways that waste can be reused. See more photos and learn more at Art Threat. 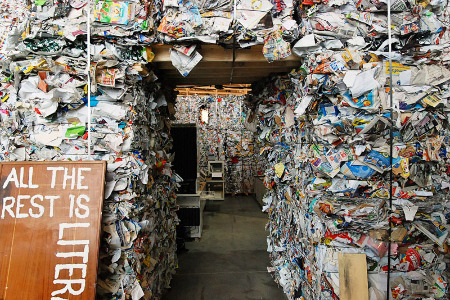 Here's a look at the entrance to raumlabor-berlin's House of Contamination, an installation at the Artissima International Art Fair that turns all varieties of trash—discarded clothes, old electronic equipment, stacks of paper, piles of plastic—into a walkable indoor city. 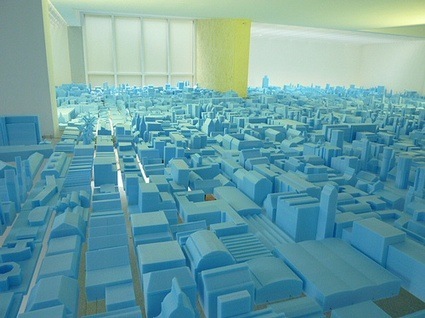 See more photographs at Inhabitat. 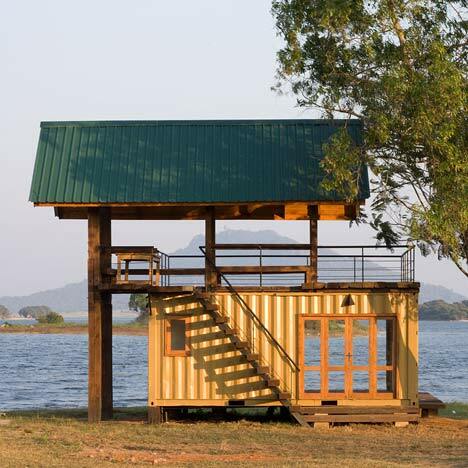 Photographer Logan MacDougall Pope has sent us his images of this lakeside retreat in Sri Lanka made using a stray shipping container and timber from weapon boxes. 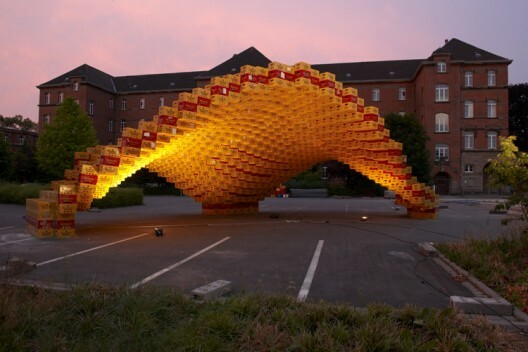 The experimental pavilion BOXEL was designed and realized by students of the architecture department during the last summer semester on the campus of the University of Applied Sciences in Detmold. 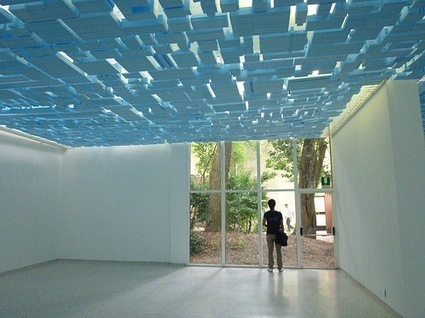 The expressive design by Henri Schweynoch, which succeeded in an impromptu competition, creates a generous spatial scenery for presentations, concerts, events and gatherings on the campus. More images and information after the break. Within the digital design course, led by Prof. Marco Hemmerling, the students were not only asked to design a summer pavilion but also to construct and realize the design as a mock-up in scale 1:1, using digital design and fabrication tools. 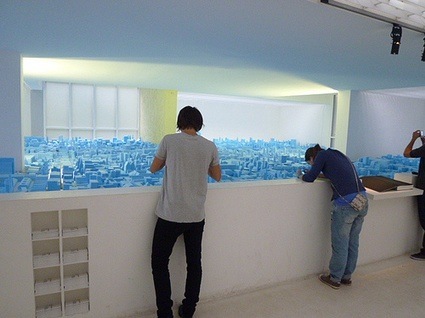 Against this background the digital workflow including parameters of production, construction and material became key issues of the further process. 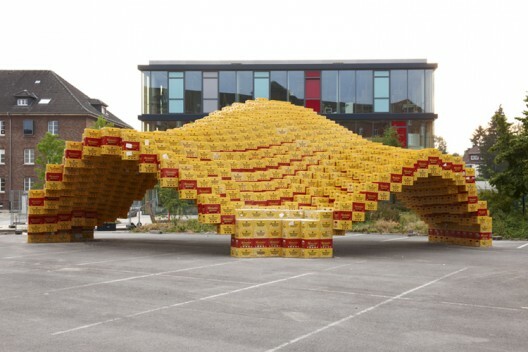 The building shape is based on a minimal surface and consists of more than 2.000 beer boxes that are organized along the free form geometry. 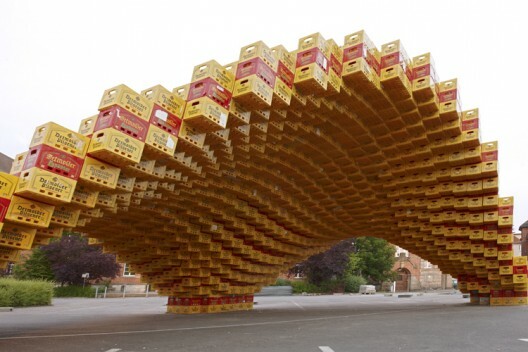 The temporary construction was designed using parametric software to control the position of the boxes in relation to the overall geometry and to analyze the structural performance. 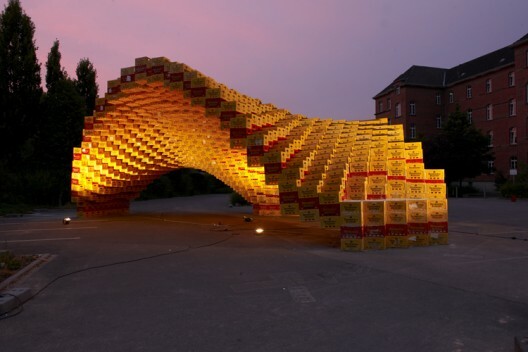 In order to define the construction concept and the detailing of the connection several static load tests were made to understand the structural behaviour of the unusual building material, especially since the empty beer boxes were not stacked onto but freely organized next to each other. In parallel to a series of shearing and bending tests in the university’s laboratory of material research the structural concept was simulated and optimized using FEM-Software. Finally a simple system of slats and screws was chosen for the assembly of the pavilion that allowed for a flexible and invisible connection. Additional bracings were placed in the upper part of the boxes to generate the required stiffness of the modules. 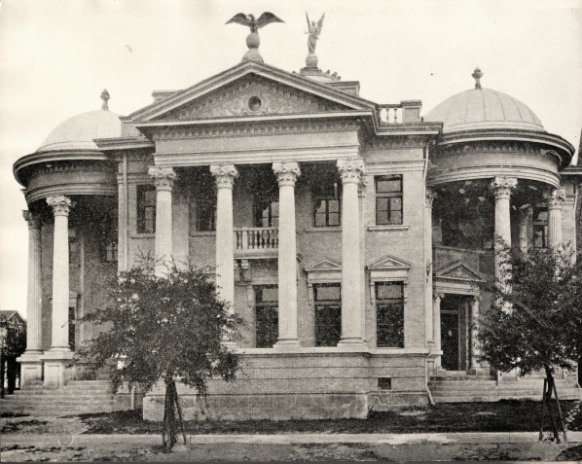 The structural load transfer was realized by concrete-lined boxes at the three base points that served as foundation for the pavilion. BOXEL was erected in only one week by the students and served as a scenic background for the end of semester party and during the international summer school (www.a-d-a-d.com) at the University in Detmold. The beer boxes which, after being ten years in use, were supplied by the local brewery and will be recycled when the pavilion is being disassembled. 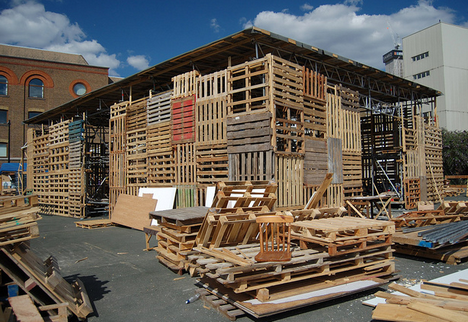 A second pavilion design that is based on moveable wooden frames, designed by Lisa Hagemann, was also selected during the competition phase and will probably be realized during the next summer semester in 2011. 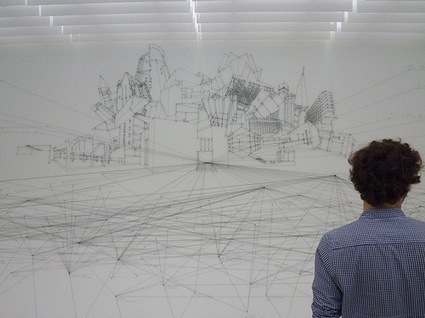 Another example of pixel architecture? 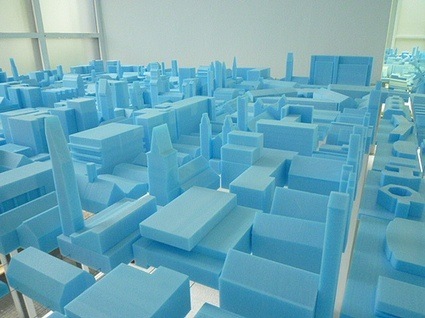 Really nice project by Nora Korn and Christoph Köhler. 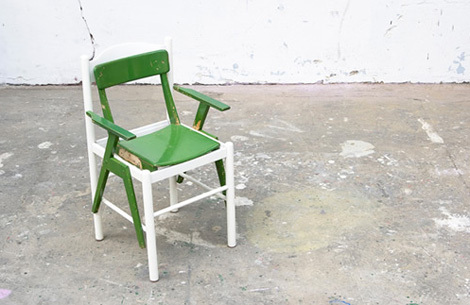 Both from the German city of Mainz they have transformed everyday waste into a series of alternative products. Having collected over fifty piles of rubbish the pair documented the project over the course of three months which resulted in eleven items of “newly combined, rebuilt or converted bulky waste”. The second life of objects and products is a growing theme in the sustainable + designers area either... An interesting catalogue here with funny products.